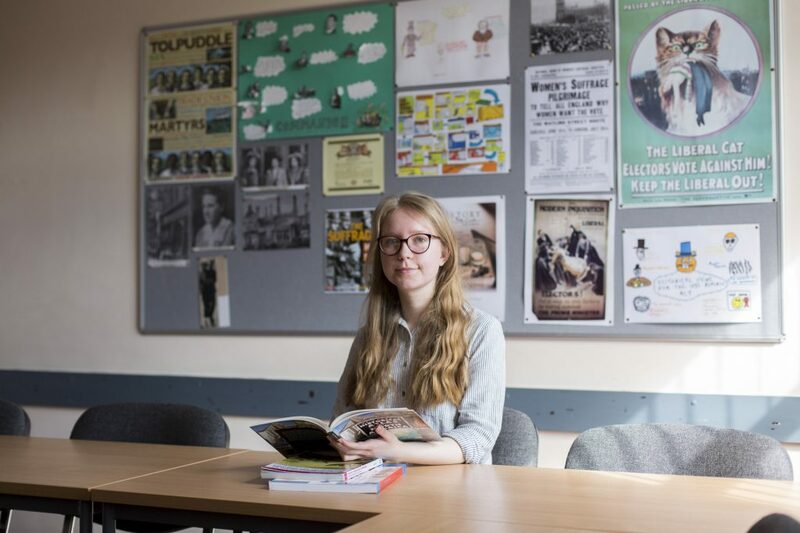 Progression to A Level study is for many students, the natural next step in their post-16 education following successful completion of GCSEs. We offer a wide variety of subjects, including some you may not have had the chance to study before such as Psychology, Politics, Geology, Economics and Law. Students celebrated their best ever results in 2018,with 100% pass rate in 30 subjects contributing a fantastic overall pass rate of 98.5%. Further to this, 50% of students achieved superb A* to B grades continuing the year on year increase in A Level high grades attained at the College. If you are ambitious and predicted to achieve highly in your GCSEs then you can apply for an Academic Scholarship and/or membership to our Honours Academy. This will be in addition to your A Level programme. You can also apply to take an Extended Project as an AS Level, in addition toyour chosen A Level subjects. Students are required to choose a topic that they find particularly interesting and conduct a research project culminating in an essay, piece of art, model or film installation. The project will enrich your academic portfolio and develop your initiative as well as research, organisation, reflection and evaluation skills. Enrichment forms the fourth part of your A Level programme. Generally assessment is through written exams, though some subjects use a variety of other methods including practical assessments and written coursework. This serves as an ideal preparation for university. On completion, over 75% of our A Level students’ progress directly to universities in the UK and overseas, or stay with us to study a degree at University Centre Somerset. Our tutors and subject lecturers would support you through your UCAS application. gain a 6 in subjects you have studied at school and wish to continue at A Level. I chose to study at the College as it offered me the chance to study the subject I was most interested in and it has an excellent reputation, so I knew I could achieve here.